Welcome to your weeklong adventure through Southeastern Utah’s legendary Canyonlands. Explore the amazing Colorado River by raft. Pedal between burnt-orange sheer-walled canyons and enormous uniquely-shaped sandstone towers on a road snaking through Castle Valley. Marvel at how tiny you feel as you hike through looming, crimson rock formations at Fisher Towers. Hike by ancient petroglyphs, a glimpse into the rituals and beliefs of the Fremont, Anasazi, Navajo and Anglo communities of thousands of years past. At the end of the day, eat a hearty dinner before retiring to the comfort of your home for the week, the Canyonlands Inn, located in the heart of Moab! 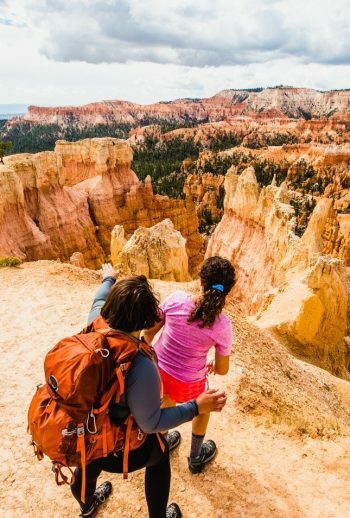 Spend seven extraordinary days trekking across two of Utah’s famous national parks: Canyonlands and Arches. Whether you’re looking up at the brilliant red spires of Fisher Towers or out from Dead Horse Point Overlook, you will experience sites that will engage all of your senses. Watch history unfold before your eyes, as you journey through the arid landscapes of Southeast Utah. 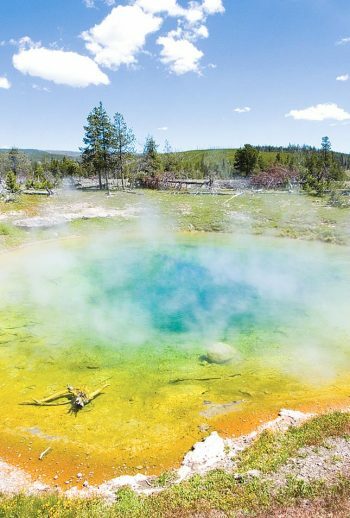 These national parks will leave you with vivid memories that will last a lifetime. Looking for ways to save on your next vacation? Whether you’re new to Austin Adventures or already part of the family, we’ve got something for everyone. Learn More Here! The scenery: A high-desert spectacle of rock formations and river-carved canyons, watch the sun set on the rich red terrain and capture photos of a life time. The stars: Experience the Milky Way as it was meant to be—vast, sprawling, and full of blazing constellations. The perspective: Stare up in awe at the 900 foot Titan at Fisher Towers and feel all your worries melt away. Begin your trip with early-morning pickups in Grand Junction by your guides, followed by a welcome meeting. With a short shuttle to the banks of the Colorado River we spend the day descending the walled whitewater section known as the Westwater of the Colorado seeing some of the oldest rock in the Grand Canyon, black Vishnu Schist. Enjoy a picnic on the banks of the river before setting out again. After an amazing day on the river, it is a quick shuttle to our home for the week, Canyonlands Inn. This property is centered right in the heart of Moab and looks out at red rock vistas beyond town. Tonight, we enjoy our first dinner together as we discuss our upcoming days playing in red rock country. Located in the heart of downtown Moab, this hotel is within walking distance of many local restaurants and souvenir shops. This hotel will serve as our base camp for exploration of Arches National Park, Canyonlands National Park, and Dead Horse Point State Park. Your room was styled to capture and reflect the natural beauty of the surroundings. A warm palette featuring earthy browns and greens accented by luxurious natural granite is highlighted with photography by renowned local artist Tom Till. Start the morning with a hearty breakfast at your hotel before continuing south into Canyonlands National Park. Mount up at Grand View Point and ride to our first stop, Mesa Arch, for a short hike. Continue north by bike along the Island in the Sky route. A picnic lunch at Dead Horse Point Overlook gives us a chance to experience the vastness of the park. Catch a ride in the van to the “top of the hill” and then ride an exhilarating 10 miles to the Colorado River. Head back to the Inn for an afternoon to relax or walk the streets of Moab before dinner in town. Replenish your energy this morning with breakfast at a local restaurant. This morning’s hike will lead us to an absolutely jaw-dropping landscape – be prepared to be wowed by even more awe-inspiring scenery and geology. This beautiful hike will offer you many stunning views, but none as amazing as the view of the iconic Delicate Arch that will greet you at the end of your hike. This afternoon, we will explore more of the fiery reds and breathtaking blues of the hidden gems of Arches National Park. Enjoy dinner tonight at the Moab Brewery. Fuel up with a hot breakfast at the Inn before heading out on a morning hike to the Fisher Towers. These towers are world renowned for their exciting rock-climbing routes and have been a favorite subject of photographers for years. After indulging in a gourmet meal prepared by your guides, we are off to experience an adrenaline-pumping ride. Jump in a Hummer and explore the amazing Slick Rocks of Moab. Tonight, continue exploring and enjoy dinner on your own in Moab, one of the mountain biking capitals of the world. After breakfast it’s time for another fabulous hike that is unlike any that we have done so far. Professor Creek water flows year round along Mary Jane Canyon. Stay cool in the summer temperatures splashing in the canyon waters. There’s no better way to experience it than on foot, walking among the impressive rock formations. Our farewell dinner is sure to be a hit as we dine at the charming Desert Bistro. This morning we have time for one more great bike ride before heading home. The thrilling downhill ride through Castle Valley will be a great way to end your week of adventures. After enjoying one last wonderful lunch together, we will head back to Grand Junction to say our goodbyes and depart for home. Please plan on arriving at least one day prior to your trip departure. Day one of your itinerary starts at 7:00 or 7:20 am, depending on your hotel. Your trip ends with a drop-off at either the Grand Junction airport (2:00 pm) or Grand Junction hotel (2:30 pm). * Must be at least 10 years old to raft. Learn about how the Canyonlands contain over 200 million years of geological history, and continues to serve as an outdoor laboratory for scientists from all over the world. From the Island in the Sky’s Upheaval Dome to the Grabens area of the Needles, Canyonlands possesses many uncommon landforms. Take in the majesty of the Colorado River which derives its name from Spanish – “colored red”. (The river used to have a reddish-brown color, but now the silt and sediment that gave it the color is trapped behind Glen Canyon Dam at the bottom of Lake Powell!) Stare up in awe at the 900 foot Titan at Fisher Towers: the first climb took place in 1962 and was sponsored by the National Geographic Society! Discover why Moab, with its unique combination of beautiful red rock scenery, two national parks, and the cool waters of the Colorado River, is one of the most sought out vacation destinations in the west. Come visit this wind-sculpted paradise known as Red Rock Country.